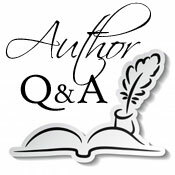 We are delighted to welcome author Raymond Benson to Omnimystery News today. Raymond's fifth and final book in The Black Stiletto series, Endings & Beginnings (Oceanview Publishing; November 2014 hardcover and ebook formats), is published is week, and we had the opportunity to talk with him about it. Omnimystery News: Take us back to the beginning, and introduce us to the Black Stiletto. Raymond Benson: The Black Stiletto was a feminist before that word was in our vernacular. She was a young woman in the late 1950s who put on a mask and costume, called herself "The Black Stiletto," and went out on the streets of New York City (and later Los Angeles) to fight crime and social injustice. She was active for five years and then mysteriously disappeared. No one knew who she was, but she became a legend still celebrated in myth today. Cut to the present — a grown man is taking care of his mother in a nursing home in the Chicago suburbs (she has Alzheimer's) and he discovers that SHE was the Black Stiletto. So the 5-book saga is two parallel stories — one in the present, dealing with the son and his daughter and threats from the past, and one in the past, dealing with the Stiletto and her escapades. OMN: How did you go about creating the right voice for your female protagonist? RB: I have several novels in which there are female protagonists. Don't ask me why I'm comfortable writing in a female voice. It is challenging to get all the details right, but luckily my wife is a big reader and she vets all my work before anyone else sees it. I sure hope it doesn't matter to readers. When another female writer read the manuscript of the first book, she said, "If I hadn't known a man had written it, I would have thought a woman had." That was good enough for me! OMN: Into which fiction genre would you place this series? RB: Thriller or Suspense — these are pretty interchangeable descriptions. Not sure about the general public, but these labels do help define the type of book it is for *me* — as mysteries and police procedurals and the like have a different rhythm and pace. RB: All questions will be answered, all secrets revealed in the 5th & final chapter — THE BLACK STILETTO: ENDINGS & BEGINNINGS! RB: I have several phases. The Conceptual Phase is when I daydream a lot and come up with a story. I may jot down paragraph-long blurbs that are like the back cover of a paperback book that state the premise. The Initial Research Phase is preliminary research into a location or something that might be in the story that I don't know much about. Depending on this research and what I find, this determines if I proceed. The Outline Phase is the longest and hardest part; I put in treatment form the entire story in block paragraphs, with each paragraph representing a chapter. This is where I work out all the twists and turns, the red herrings, the climaxes, etc. I might spend 2 months on the outline. Heavy Research Phase is next, and that's when I might travel to the location(s) involved or do more in-depth research on things in the story. The Writing Phase is next; armed with my outline and research, I start the writing process. I try to get a complete scene done every day (this might be part of a chapter or even a whole chapter, it might be 2 pages or it might be 20). I always write the first draft without going back and correcting anything in order to establish the pace. The Revision Phase is next; I go back and revise, add, delete, re-write, destroy, re-create — whatever, and this is the most fun part of the process. I may do 2 or 3 revisions. Then I let trusted readers take a look. Based on their comments, I may do another revision (or not). OMN: How true are you to the settings in the books? RB: I try to be very accurate in describing real places. If I don't know them personally, I travel to them. In the case of The Black Stiletto books, much of the action takes place in the years 1958-1962, so the research into those periods is intense. All the locations in the five books, except for L.A., are places I have lived (and I know L.A. pretty well). Getting the historical facts right is just a matter of appropriate digging. RB: I'm a Film History instructor at a local college, so film is a big interest. I sprinkled the Black Stiletto books with historical trivia such as what movies the protagonist might have seen that day. Music is also a big interest — I am a concert-level pianist and hold a weekly piano gig in the Chicago area — so I do the same thing in my books with music. I had a couple of mysteries published in 2008/2009 that were "rock 'n' roll thrillers" seeped in music lore! RB: I am a thriller writer and thus I am also an inventor of devious plots that could cause great harm! Mwa ha ha! OMN: Has there been any interest in adapting The Black Stiletto series for television or film? RB: The film/TV rights for the saga have been acquired by Tony Eldridge of Lonetree Entertainment — he is currently one of the producers of the recent Denzel Washington movie The Equalizer. OMN: Any thoughts on who you'd like to see playing the key roles? RB: The role of Judy in the Stiletto days of the past would be played by a tall, young, athletic actress. Jennifer Lawrence? (Wishful thinking.) The role of Martin, her grown son in the sequences in the present, would be played by a middle-aged man with a sense of humor … Steve Carell perhaps? RB: It seems I've always read genre fiction — I started on Ian Fleming when I was too young to read James Bond! These days I mostly read other thrillers because that's what I write. I do, though, enjoy science fiction, mysteries, and some mainstream fiction. My favorite living author is Ruth Rendell. OMN: Create a Top Five list on any topic. RB: I have begun a new novel, and yes, it has a female protagonist again. Still too early to know what the thing is yet! Raymond Benson has been an author, composer, computer game designer, stage director, film historian, and film genres instructor for over thirty years, including being the official James Bond 007 continuation author between 1996 and 2002. He lives in the Chicago area. For more information about the author, please visit his website at RaymondBenson.com and his author page on Goodreads, or find him on Facebook and Twitter. The startling, climactic finale to the five-book saga of The Black Stiletto. It's 1962. Judy Cooper, the Black Stiletto, is devastated at the betrayal by her nemesis and former lover, mobster Leo Kelly. Additionally, Leo and his psychotically dangerous sister, Christina, have set out to ruin the Stiletto's reputation in L.A. with a series of crimes that are made to appear as if the crime-fighter is responsible. The very pregnant Judy must fight back only with her wits and cunning-until disaster strikes and she is forced to flee to her old home town in Texas for the final showdown with destiny. Meanwhile, in the present, the Alzheimer's that afflicts elderly Judy is in its last stage, but her son and granddaughter, Martin and Gina, must continue to protect her from the past's last remaining assault, culminating in a cathartic and explosive conclusion.